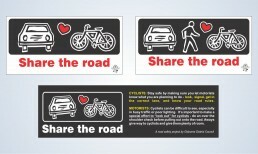 A selection of graphics focused on essential tips for cyclists and motorists about sharing the road. Includes top tips for cyclists to ‘be safe, be seen’ and reminders for motorists to make a special effort to LOOK OUT for cyclists. 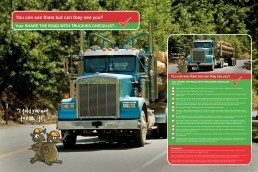 Also included is our ‘Share the road with truckies’ checklist and signs specifically designed for awareness in areas where horses, cyclists and motorists interact. Just let us know if you have anything else in mind, we are always happy to create something specifically for your target.